Shawn plays Bobby, aka Iceman, in the X-Men movies. He can also be seen in Smallville, Earth: Final Conflict, and Cadet Kelly, which also stars Gary Cole. 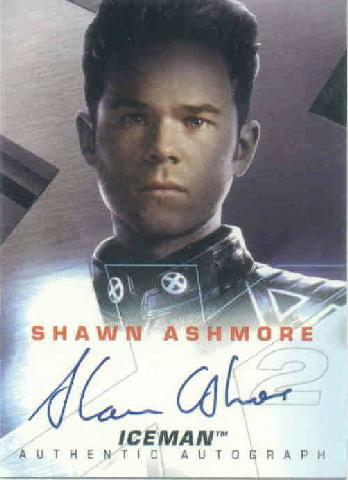 He is the twin brother of Aaron Ashmore.